We spent the better part of the last decade slogging through a recession. We cut back, paired down and put off. Now it’s time to shake it off and have some fun in the garden. I’m not talking all out crazy – it’s easy to overdo it with the garden art. I’m talking about adding clever bits of humor and whimsy to your outdoor living space in subtle, often unexpected ways. It’s the little things that make us smile the most anyways, right? 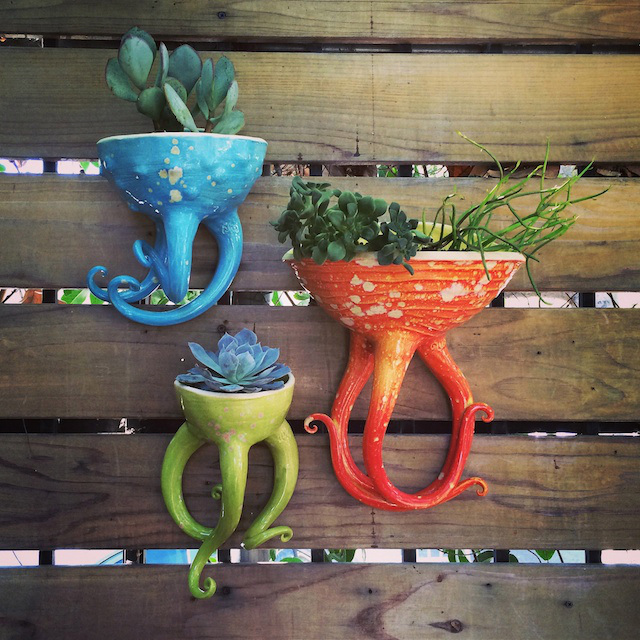 Take for example these otherworldly hanging planters by Tentacle Arts. They also make standing planters and air pods for your tillandsia. I mean come on, how can you not smile? To buy one (or a family) visit Potted. Who says house numbers should be purely functional? Not me! 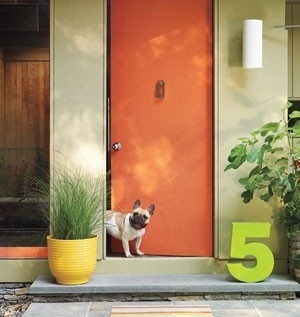 Be unconventional by choosing a house number that expresses your personal style and the style of your home in an unexpected or quirky way. As the saying goes, “First impression are often the most memorable.” You can purchase these numbers at CurranHOME. To see more fun house number ideas check here. Color is a great way to add a bit of life to your landscape. 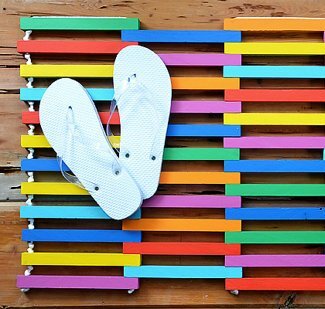 Find unexpected ways, like this multi-colored reclaimed wood door mat by Once Upon A Hive. I can’t think of a better way to set the tone for your next visitor. What’s more mundane than a wall mounted hose holder, not much. 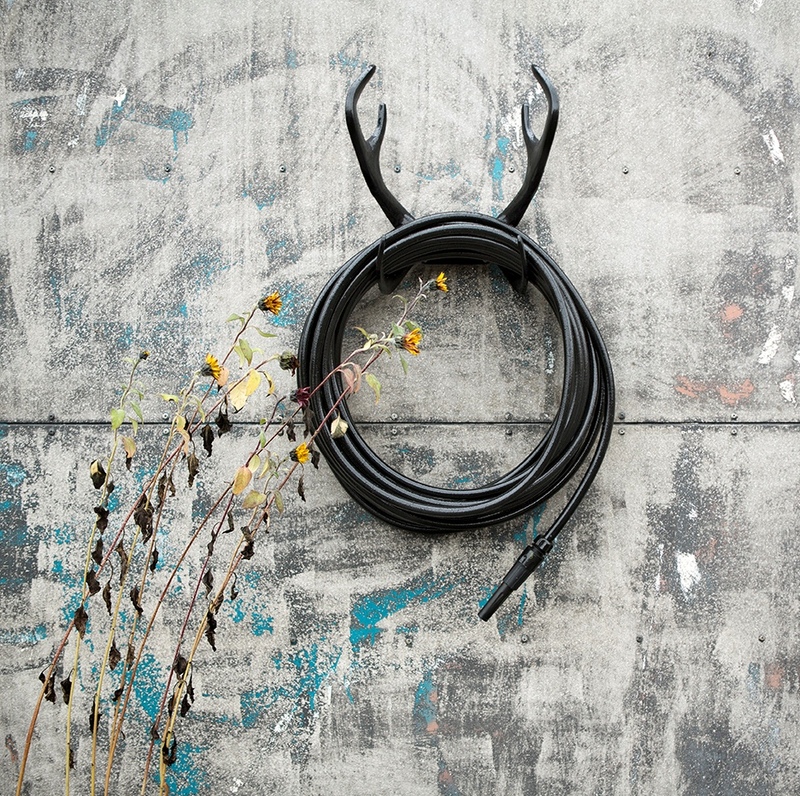 Garden Glory takes mundane to Fabulous, with a capital “F”, with this reindeer hose wall mount. 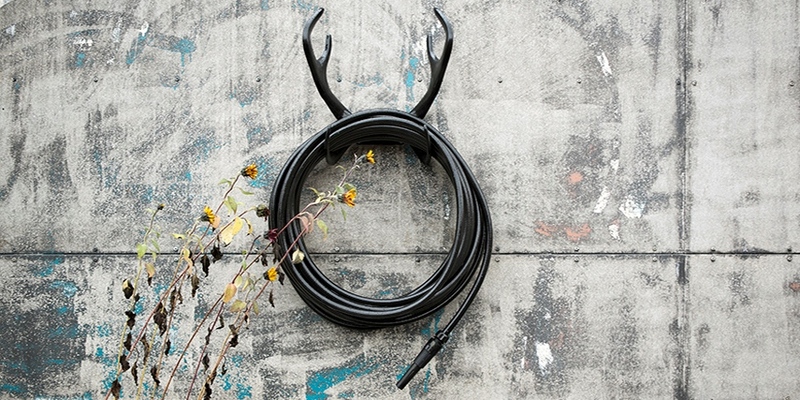 They’re made in Sweden of cast aluminum and come in black, white, grey and metallic gold!